Home / Aaron Paul / Breaking Bad / DreamWorks Pictures / movie / Need for Speed / Tobey Marshall / Walt Disney Studios / "Breaking Bad's" Aaron Paul Has a "Need for Speed"
"Breaking Bad's" Aaron Paul Has a "Need for Speed"
In DreamWorks Pictures “Need for Speed,” a gear-grinding drama set in the world of underground street racing, Aaron Paul plays Tobey Marshall … a role that almost wasn’t his. The actor had just wrapped production on the final season of the critically acclaimed TV series “Breaking Bad” where he plays Jesse Pinkman when he auditioned for the film. But the filmmakers were interested in casting him not as Tobey Marshall, but as Dino Brewster, Tobey’s adversary. Director Scott Waugh (“Act of Valor”) knew for certain that Paul was their Tobey, but there were some concerns he might be perceived as too edgy because of his “Breaking Bad” association. For Paul it was déjà vu, as six years earlier he’d had a similar experience during casting for “Breaking Bad.” At that time, there had been someone (the show’s creator and executive producer Vince Gilligan) who desperately wanted to cast him for a certain role (Jesse Pinkman) and there had also been some opposing views (executives at AMC felt he was too good looking to play a meth dealer). In the end everything worked out to everyone’s benefit, especially for Paul. He was cast as Jesse Pinkman on “Breaking Bad,” going on to receive two Emmy® Awards for his performance, and he got the part of Tobey Marshall in “Need for Speed.” The part of Dino Brewster ended up going to Dominic Cooper (“Captain America: The First Avenger”). Good fortune has always seemed to shine on Aaron Paul, as it has for most of his career. But it was not luck, but his abilities as an actor that would take him the rest of the way. Paul had wanted to be an actor since the 8th grade. After graduating from high school in Boise, Idaho, he moved to Los Angeles to pursue acting full-time where he soon found himself working consistently. Since then he has appeared in countless commercials and has amassed an impressive list of film credits (“Mission: Impossible III,” “The Last House on the Left” and “K-PAX)” as well as TV’s (“Big Love,” “Criminal Minds,” “Bones,” “Ghost Whisperer,” “Beverly Hills, 90210” and “Melrose Place”). 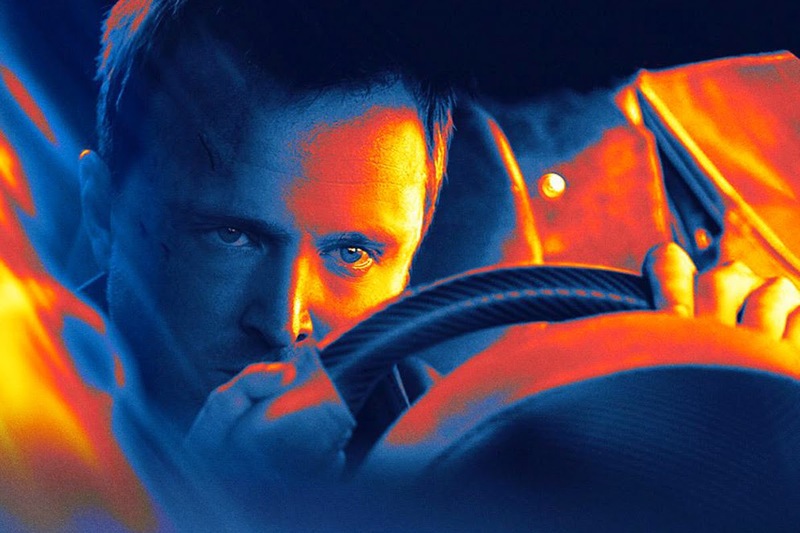 Based on the eponymous video game series, “Need for Speed” is a visceral and evocative return to the great car-culture movies of the 1960s and ‘70s. The film captures the excitement of the game in a real-world setting while bringing a level of intensity and authenticity to the action on-screen. For Tobey Marshall, who runs his family’s auto shop and races the underground street circuit with his buddies on weekends, life is good. But his whole world is turned upside down when he is sent to prison for a crime he didn’t commit. In prison, he spends the next two years thinking about one thing: vengeance. While questioning the morals to which he has always adhered, he is nevertheless determined to bring down his enemies … no matter what the cost. Waugh wanted to pay tribute to the great car movies from the 1960s and ‘70s. Movies like “Bullitt” (1968), “The French Connection” (1971) and “Vanishing Point” (1971), where the car sequences were authentic and executed without any visual effects. Today the majority of car stunts on film are completed with a green screen and talent in cars on a soundstage, but Waugh was insistent that all car stunts on “Need for Speed” be practically executed. He wanted to put the audience inside the car, riding shotgun. On set this came to be known as the Steve McQueen style of filmmaking, a reference to scenes in the late legendary actor's films where a car would pull around a corner and come up right next to the camera so you could tell Steve McQueen was in the driver’s seat. The end result is a unique perspective not often seen in cinema with the audience actually becoming the driver and witnessing all the action from the driver’s point of view. Capturing this kind of footage on film required a vast amount of work from all areas of the production team. While the photo department was testing cameras the stunt department was busy mapping out logistics. Fortunately for everyone involved, Waugh is a veteran stunt man who comes from a family of stunt performers. As a result, the film attracted some of the greatest precision drivers and best stunt performers in the business, including stunt coordinator Lance Gilbert (“Titanic”) who hails from another of the country’s premier stunt dynasties. Lance is a third generation stuntman going back to his grandfather Joe Yrigoyen (“Ben Hur”) and continuing with his father Mickey Gilbert (“The Fall Guy”) followed by himself and brother Troy Gilbert (“The Lone Ranger”). Principal photography on “Need for Speed” began in Northern California in April, 2013 followed by stops in Georgia, New York, Detroit and Utah. But before Paul or any actors could step foot on set they needed to go to school – stunt driving school – to learn the fundamentals of stunt driving. At Willow Springs Race Track in California’s high desert they were taught basic car control as well as specific stunts like sliding and drifting around corners and reverse 180’s. According to Paul, “Scott wanted us to learn the practicality of the maneuvers but also how to look cool when doing it.” And ultimately it paid off. One scene called for Tobey to race towards a camera in a Koenigsegg Agera R super car, slam on the emergency break, do a full 180 slide and stop inches from the camera. 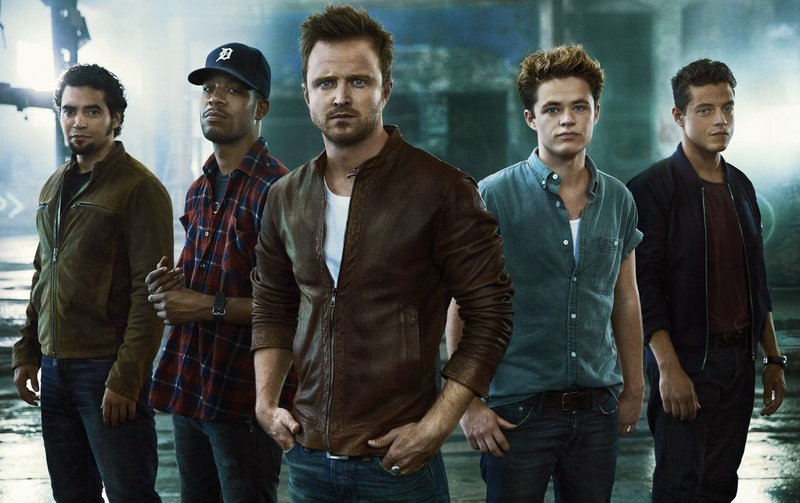 Opening across the Philippines on March 12,“Need for Speed” is distributed in the Philippines by Walt Disney Studios Motion Pictures International.